Catherine Brown is a professional Birth Photographer servicing Winnipeg and surrounding areas. We are not just Aunt Mary with a camera. While creating this information sheet I knew that it had to get the information across as quickly as I could. Health Care Professionals are incredibly busy and often don’t have the time to small talk or read big long birth plans. I kept this in mind. I also wanted the information to be relevant to them and check off some of the boxes that I have been asked in the past. It was also important to me that this didn’t come across as a sales or marketing opportunity. 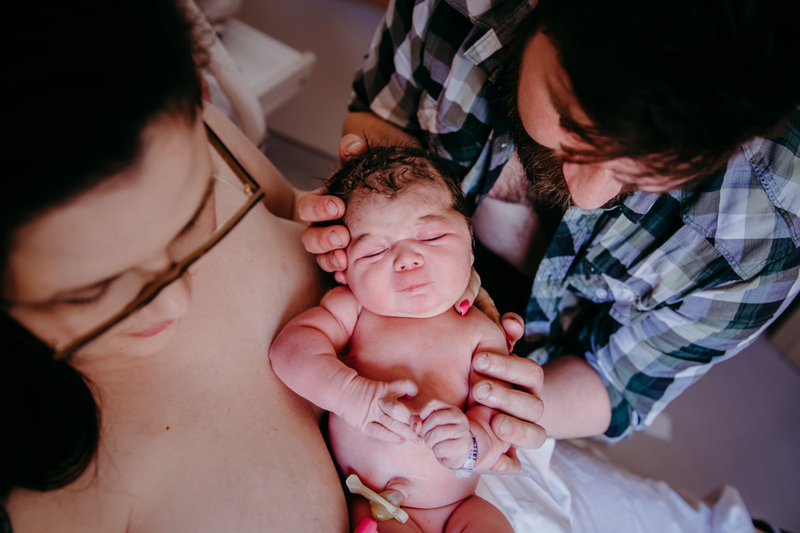 I am not attempting to sell them on Birth Photography but rather explain who I am, what I do, what I don’t do and that ultimately I am a professional birth worker. Although everyone’s role in the birth space is individual and different we all have the same end goal. A positive birthing experience and happy and healthy clients. It’s important that the birth space is a team environment and that cannot be achieved if my presence (and big camera) in the space makes others uneasy. Since creating this sheet I have received so much positive feedback from Health Care Providers, Clients, Doulas and other Birth Photographers. I am so happy to be able to share this resource here on Birth Becomes Her. Please feel free to use this as inspiration to make one of your own to provide to those in your community. We are all helping each other to grow Birth Photography around the world and these small steps forward are laying the foundation for our industry to be recognized as one that is professional and respected.